The Leopold Family Shack & Farm, Baraboo, Wisconsin. Photo by Tom Koerner, USFWS Mountain Prairie, via Flickr. This year , over the course of the weekend and through Monday, April 22, Americans will be holding Earth Day events—commemorating the anniversary of a national wave of demonstrations and teach-ins in 1970 conceived primarily by Wisconsin Senator Gaylord Nelson. By coincidence, Sunday, April 21, marks the 175th anniversary of the birth of another Wisconsin resident, the famous naturalist and founder of the Sierra Club, John Muir. And Wisconsin was home to yet another respected environmentalist, Aldo Leopold, who died 65 years ago—on John Muir’s birthday. It is fitting, then, that we offer as a Story of the Week selection a speech delivered by Leopold 75 years ago this week. 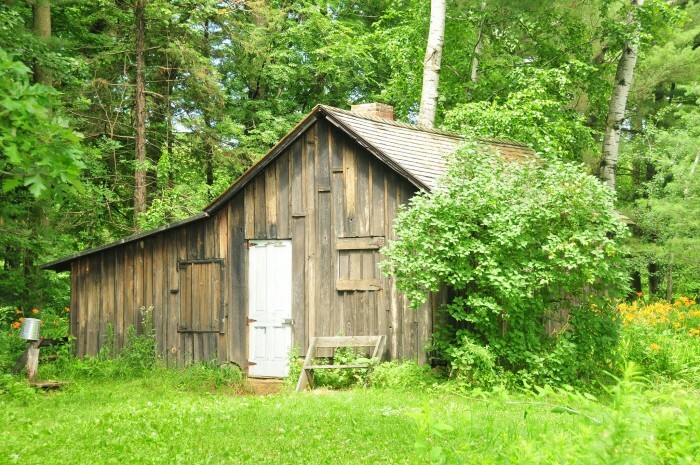 Leopold spent his spring break in 1938 planting trees around “the Shack,” a rebuilt chicken coop at an abandoned farm where his family spent weekend retreats and vacations. He then traveled to the University of Missouri to deliver this speech the week after the centennial of Muir’s birth. Leopold has long been labeled a “nature writer”—a term that can both connect and confine his writing to a particular reading audience. And as we as a society have become increasingly removed from the reality of the land and its history, his voice can seem more remote, even “old-fashioned.” Yet, for those seeking to explore and rethink our relationship to land and the Earth, that voice remains as relevant and fresh and provocative as ever. At the same time, he worried that the study of the natural world had gone too far to the other extreme, having been relegated almost entirely to the classroom and laboratory. The young zoologists and botanists of his time no longer learned science outdoors; they had lost what the naturalist John Burroughs called “the art of seeing things.” To redress the imbalance, Leopold called for students to pursue the new science of “ecology,” and he offered up as models two “amateurs” (although he did not name them): Arlie William Shorger, “an industrial chemist” who would go on to publish The Passenger Pigeon, Its Natural History, and Margaret Morse Nice, “an Ohio housewife” who was the author of the landmark volume Studies in the Life History of the Song Sparrow. “Natural History, the Forgotten Science” is included in the just-published Library of America volume, Aldo Leopold: A Sand County Almanac & Other Writings on Ecology and Conservation, which also contains a number of pieces by Leopold that have never before been published. One Saturday night a few weeks ago two middle-aged farmers set the alarm clock for a dark hour of what proved to be a snowy, blowy Sunday . . . If you don't see the full selection below, click here (PDF) or click here (Google Docs) to read it—free!